A boy and his hops. Have I mentioned my husband wants to be a brewer and a hop farmer one day? 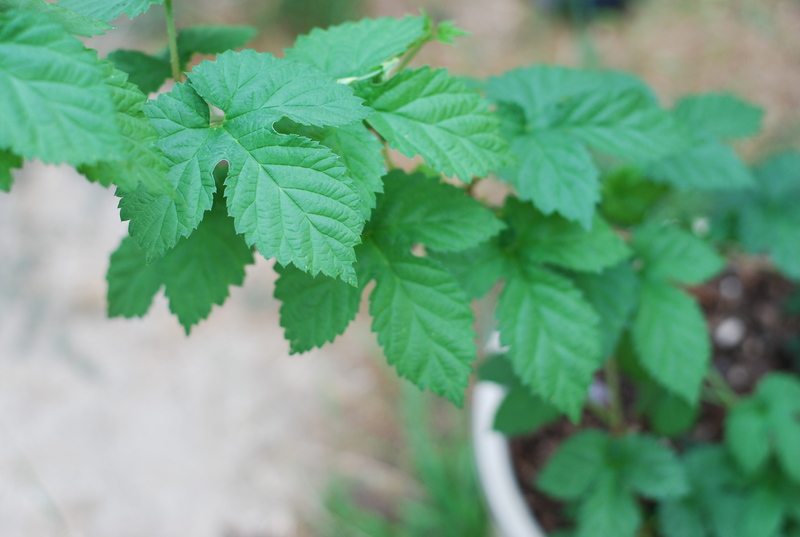 This is our second year growing hops and thank goodness they have finally started growing because I could see my husband’s dreams of owning a hop farm slowly seeping into the ground when his hops were not doing anything for months upon months. But they finally started growing and are growing fast! We’re growing them on the side yard of the property where they get plenty of light. 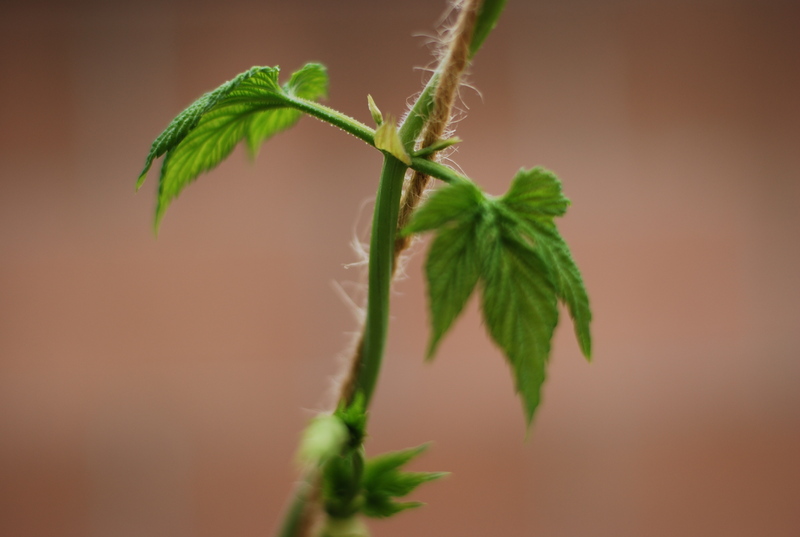 Jeff rigged them from their pot to the top of the house so can grow properly (I really know nothing of growing hops. I just watch and take photos every now and then). They are the fastest growing plants I have ever seen. One full day and the vine has grown several inches. It’s pretty amazing. 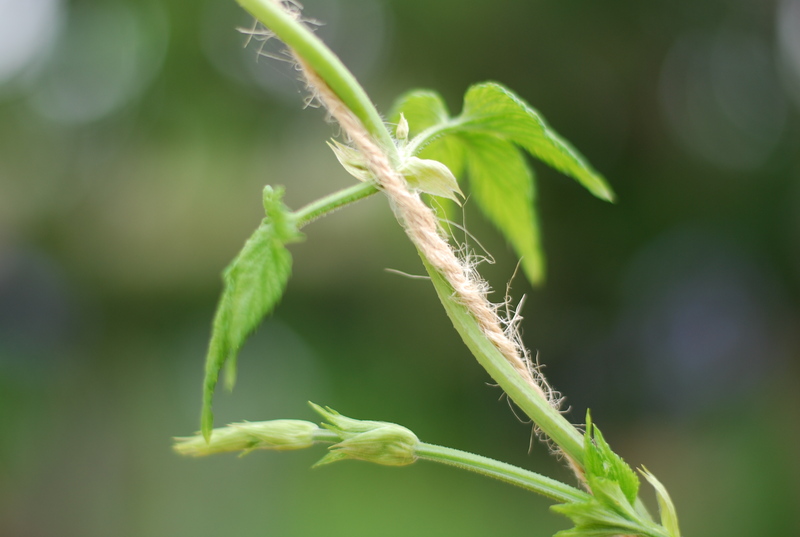 We shall see how these hops grow this year, being in somewhat of a different climate than last year. 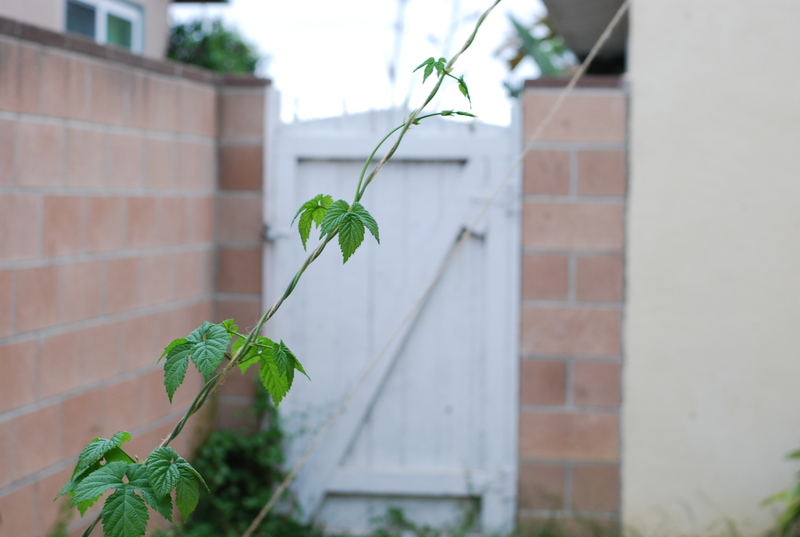 We did get a few hop cones on our balcony in Orange County so I’m curious to see what happens with more space. I’ll keep you updated on our hoppy progress! 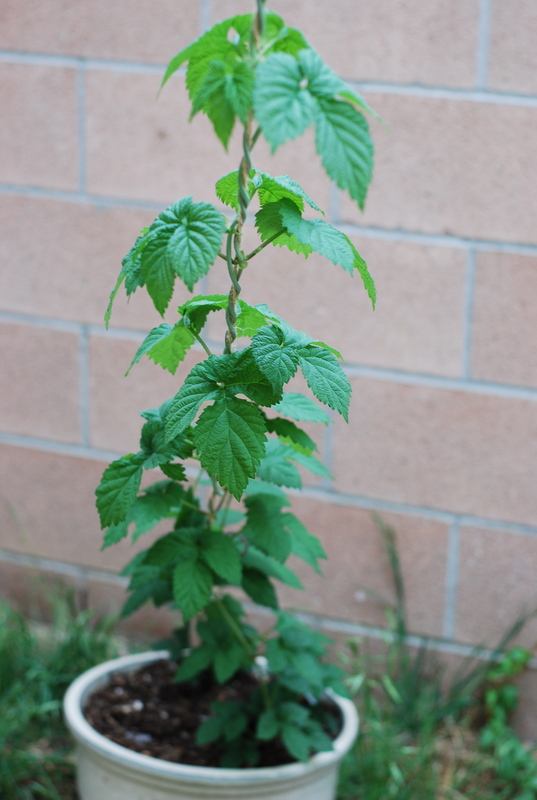 This entry was posted in making and tagged brewing, gardening, growing backyard hops, hops. Bookmark the permalink. that’s super neat!! we have yet to brew our own beer. one day! Looking forward to following that dream! Beautiful hops! I suspect you will be brewing in no time! Very cool.